According to the article, this is a proposed home that has been commissioned by a producer. Designed by British architect James Whitaker, it is comprised of shipping containers that have been assembled in a modern, provocative and original design. The house will be built in Joshua Tree, CA which is a neighbor of mine in the Palm Springs area of southern California. Palm Springs is known for its mid-century modern architectural wonders. 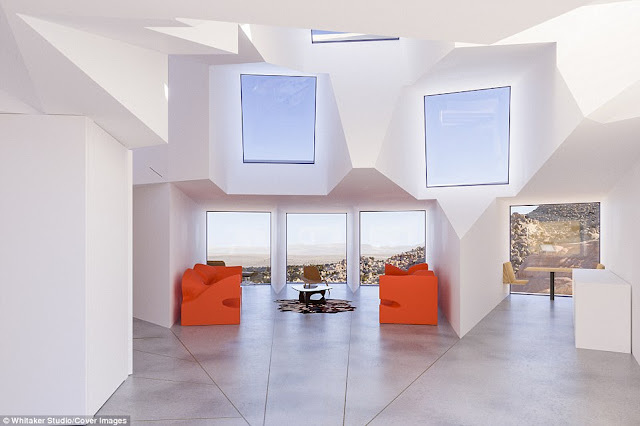 Joshua Tree and other hi-Desert homes have created many ultra-modern homes (this area isn't that populated) that, in my opinion, are the perfect setting for these cutting edge designs. 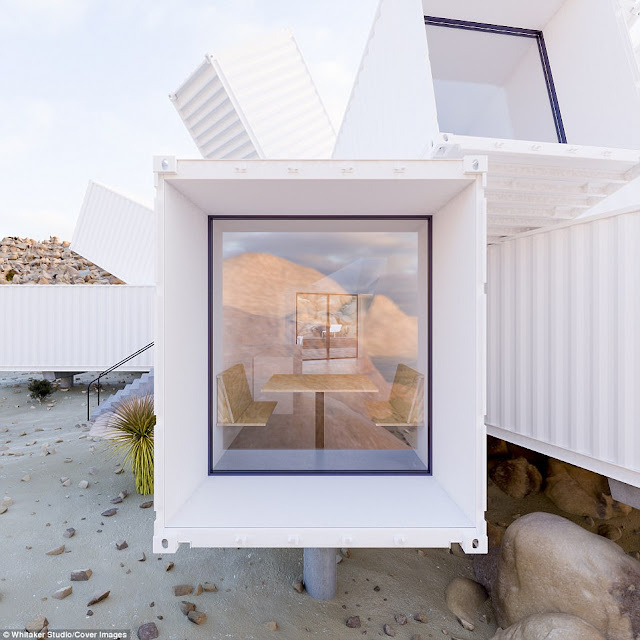 I have admired of the last few years many examples of beautiful homes that use shipping containers. This one is the best and I think that it is because of its location in such strange, other-worldly landscape. It would be just as appealable in an urban environment and I've seen examples. These designs aren't quite as cutting edge. I love unique architectural designs. I live in a region where architecture is an important part of its history and culture. I'm fortunate. This looks pretty interesting! Although, I think it would look better on top of my apartment building! That is an interesting observation. Do you live in tower in a city? I live on the 2nd floor of a 7 floor building. Not much light since the surrounding buildings are 15 to 30 floors high. So I like the sense of light and space. Also, all the buildings around me have dull, flat tops and this would liven things up. 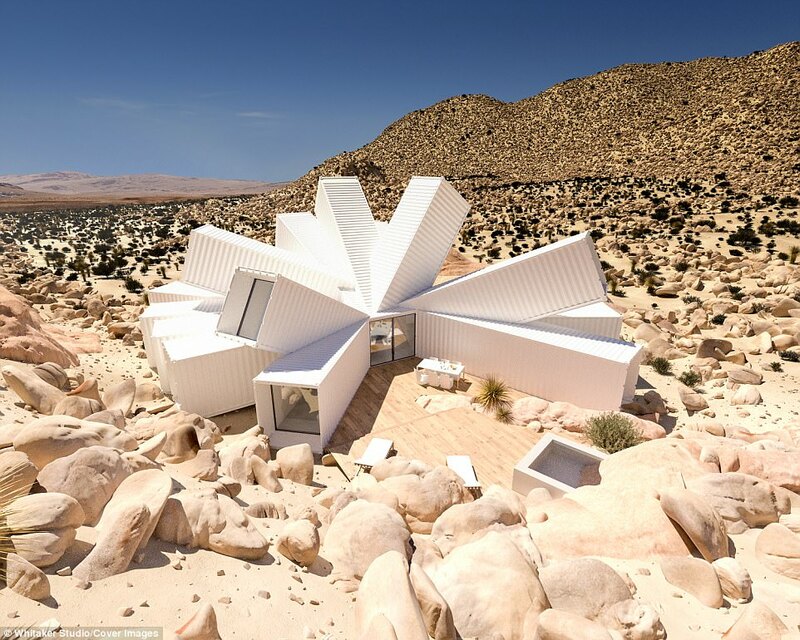 This is certainly a very unique use of shipping containers!